Liverpool tore probably the best side on the planet a new one during the first half at Anfield tonight. After 30 minutes, Jurgen Klopp’s Reds were 3-0 up against a dazed and confused Manchester City outfit. If you fancy your luck, check out betting promo codes. 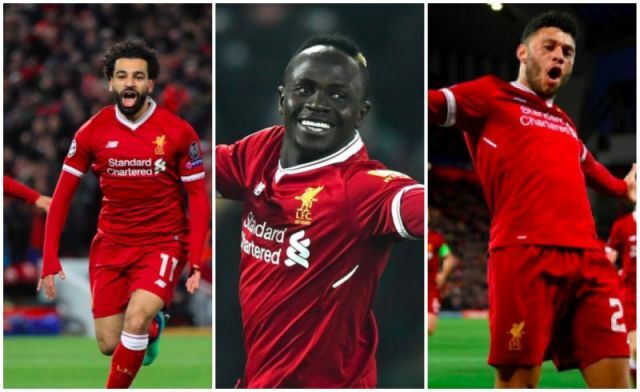 Mo Salah gave us the lead, Alex Oxlade-Chamberlain thundered in a rocket to make it 2-0 and then Sadio Mane nodded in a third from a pinpoint cross by our Egyptian superstar. Nothing is decided, but Liverpool have given themselves a fantastic chance of progressing to the semi-finals. And the internet couldn’t quite believe what they were seeing. Liverpool made Manchester City look like Manchester United in the first half. HT: #LFC 3 Man City 0: Klopp's side in dreamland at the break. They have been sensational. City rattled. Salah, Oxlade and Mane with the goals. Sadio Mane heads in Mo Salah's cross at the far post to put #LFC 3-0 up. Emotional football at its finest at Anfield! I’m telling you Mo Salah is going to turn Liverpool into a Islamic Emirate, the scousers been lacking a leader.